Home EXCLUSIVE FEATURES HEALTH After 13 years of ‘infertility’, she turned to IVF and blessed with twins. After 13 years of ‘infertility’, she turned to IVF and blessed with twins. Esther Nyambura and her two lovely children Precious Joy Njeri and Godwill Ndung’u who she gave birth after 13 years of torment and shame. Getting pregnant is never a guarantee as many people would want to believe. 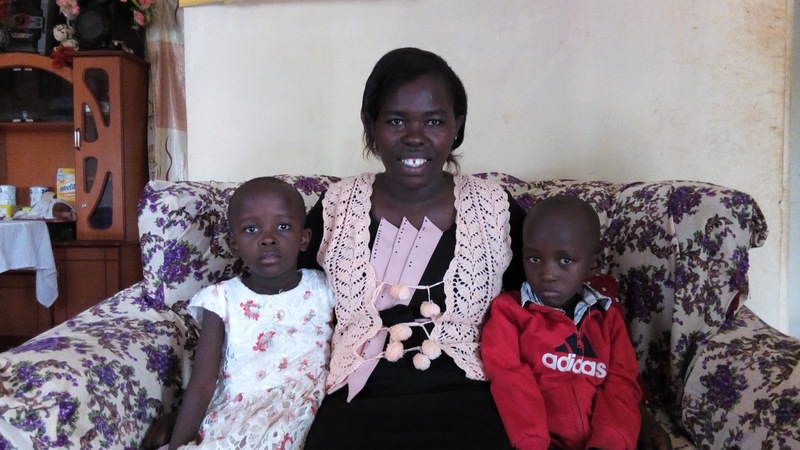 After getting married, and just like any other woman, Esther Nyambura began trying to conceive but it never occurred to her that this was going to be a long financially and emotionally draining period of her life. 13 years of marriage without a child of their own and having tried everything to get pregnant, was one of the most tormenting experiences of their lives. “At first we thought that our problem was as a result of us living separately as I was working away from home. We therefore worked out my transfer but nothing was forthcoming even with us staying together,” said Nyambura. This childlessness brought about friction in their young family as the husband got pressured by his kins and friends to have a child of his own. It also dealt a blow to her self-esteem, making her feel worthless. “I was so depressed and lived a life of loneliness and pain. Apart from the pain and stigma that comes with it, it makes you ashamed for not being able to get pregnant. Some of my husband’s relatives started gossiping that I was denying their kin a child because I didn’t plan to spend my life with him. I was also being pressured from side of the family too. I desperately tried everything but in vain,” she said. Nyambura visited so many hospitals in vain until one day a certain gynecologist diagnosed her problem. She had blocked fallopian tubes. The doctor told her that her only option was in vitro fertilisation (IVF) popularly known as test-tube babies. He recommended a certain hospital in Nairobi where she started undergoing some corrective treatment before the actual implant of the embryo into her womb. IVF is the fertilisation of a woman’s eggs outside her body in a laboratory, resulting in what has been termed a test tube baby. It involves extracting a woman’s eggs and a man’s sperm and conducting fertilisation in the laboratory. The fertilised eggs are left for two to five days to develop into embryos and then inserted into the woman’s uterus. 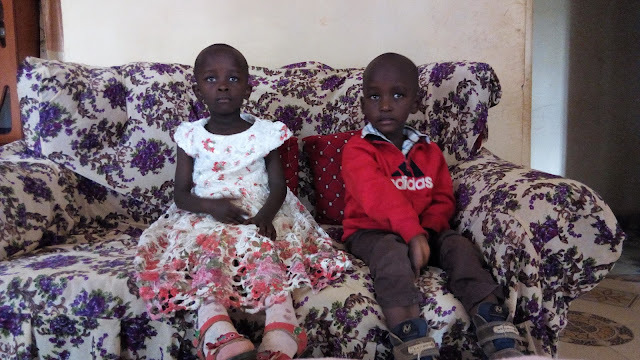 After a series of tests and taking fertility-enhancing drugs to boost her chances of conceiving, Nyambura was given an appointment to visit the doctor, but this time, accompanied by my husband. They were taken through the whole procedure of IVF and scheduled to return in a few days’ time for the actual implant. After the embryo was implanted, she was instructed to undergo a complete bed-rest for about a fortnight where the doctor broke the good news to her. She had already conceived. Due to the delicate nature of the pregnancy, she had to continue with her bed-rest under very strict instructions never to attend any chores that would make her abdominal muscles strain as this would interfere with the development of the embryo and its connection with the mother. As fate would have it, her husband gave up on her and went their separate ways. Alone with no one to look after her, Nyambura lived at the mercy of neighbours and a few relatives who occasionally came to nurse her in her home. “By the time we separated, he didn’t know that I had already conceived. He gave up on me and just left,” she said. 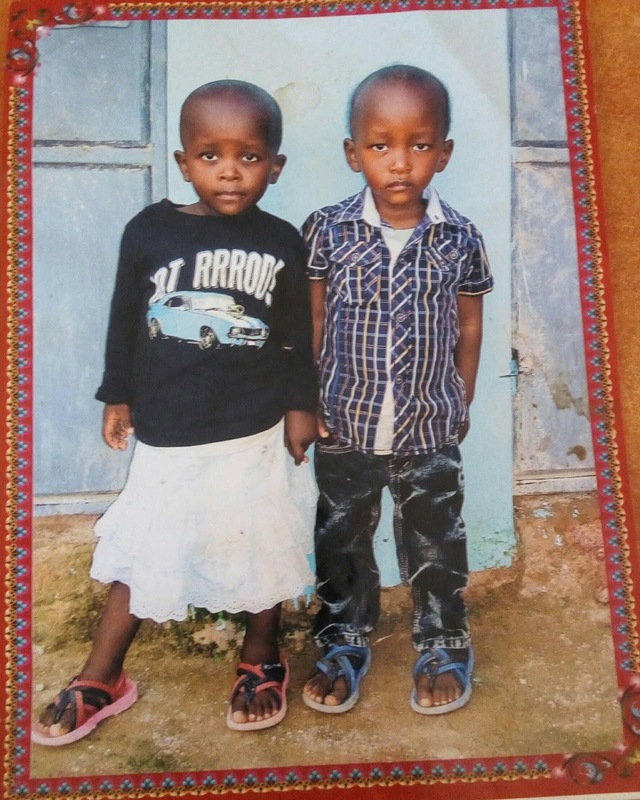 A few days later, a Nairobi hospital confirmed to her that she was carrying a set of twins. “I could not believe my eyes when I saw them through the scan. I prayed to God and promised Him that I will dedicate my children to serving Him as they both would be gifts from the Lord,” explained Nyambura as she shed tears of joy. Precious and Godwill in an earlier picture. Six months into her pregnancy, she developed some health complications which forced the doctors to prematurely administer a caesarean section to save both the mother and her unborn kids. “Three months later, I was so happy to leave the hospital with a baby boy, Godwill Ndung’u and a girl, Precious Joy Njeri. The shame and ridicule of being branded a barren woman were now behind me,” she exclaimed. Nyambura explains that her two kids, who are now 4½ years old now, live a normal life and they are not different from any other child. “You cannot tell any difference with any other child born in the normal way. They are very active and bright in school and not unless I tell you how they were born, you cannot notice anything out of the ordinary,” she said. Having gone through so much pain in her marriage, she resolved to it wise to open up and tell her story to other people in the society, hoping that her efforts might help one other woman who is undergoing the same tribulations as she went through during her initial childlessness stage of her marriage. It was in this regard that she started an organisation called “Blessed Womb Organisation” whose objective is to bring together women living childlessness for counselling and guidance on what they can do to get their own children. It has also taken up the responsibility to solicit funding to assist women undergo medical examinations and correction in order to boost their chances of conceiving. “We realised that majority of these women die childless because they cannot afford the costs implications of these procedures. I was lucky I could afford to access a loan of KES. 600,000 to undergo the complete cycle of medication and birth. But how many mama mbogas can afford that? So, we usually use this forum to appeal for financial assistance to those who we identify need help,” she explained. The organisation, that now has a membership of 40 childless women, meets monthly at Thika Level 5 Hospital to share their experiences and encourage each other among other issues. They also hold public forums to sensitise the society about infertility and assure them that there is still hope for childless women to have children of their own. Her appeal to the government is to assist such organisations through facilitation and funding. She also hoped that the Ministry of education develops a curriculum that will incorporate the subject of infertility in schools as most of the causes are preventable if only the victims were armed with the right information. The World Health Organisation data reveals that more than 180 million couples in developing countries suffer from primary or secondary infertility. In sub-Saharan Africa, infertility is caused by infections in more than 85% of women compared to 33% worldwide, which underscores the importance of infertility prevention programmes on the continent. Precious and Godwill during the interview. Although, Kenya has made great strides in birth control programmes, the same cannot be said of the treatment of infertility. It is estimated that 2 in every 10 people suffer from one form of infertility or another. Kenyan childless couples are going to great lengths and expense to have children. Unable to have children, some couples are taking out huge bank loans, selling property, withdrawing all their savings and investing the millions in baby projects. They will try every artificial method to conceive. Others get lured by fake pastors, astrologers and other traditional medicine men to have a child only to realise that they had been taken for a ride.